Approximate reading time: 16 min. Review of the film The Neon Demon (2016) of the project What is good. Warning: The article contains spoilers and addresses disturbing subject manners. “The Neon Demon” is painful to watch. Not only is it filled with long hypnotic sequences that emphasize the shallow self-importance of the fashion world, it deliberately dwells on some of the most upsetting human practices possible including paedophilia, necrophilia, cannibalism and ritual killings. All of these horrors are presented in an aesthetically pleasing matter and placed in a cool, fashionable context in an apparent attempt to normalize them. This movie leaves a foul feeling, as if one’s very soul was violated by what was just witnessed. Of course, this kind of result from a “psychological horror movie” is to be expected, but the most disturbing part of this movie isn’t the fiction: It is the dark “real world” truths it appears to celebrate. Indeed, when one knows about the dark side of the entertainment industry – and the occult elite that owns it – the movie becomes a disturbing manifesto, an indulgent celebration from people who revel in darkness. In short, it discloses what the industry is truly about, how it truly functions, and who is truly behind it. 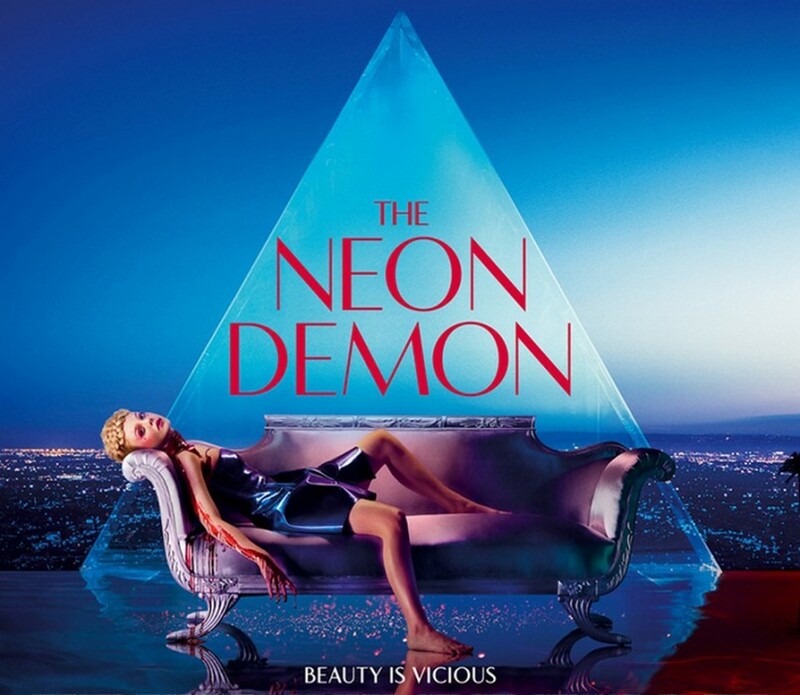 Through the story of a innocent young girl who moves to L.A. with big dreams of being an international supermodel, “The Neon Demon” reveals the true ugly face of the entertainment industry. Subjecting oneself to this kind of movie means being exposed to the twisted mindset of those behind it. And right from the start, “The Neon Demon” gives us all eyeful of what the fashion world is about: Celebrating a culture of death while preying on youth and innocence. This trend is happening in actual fashion shoots. Here is one example of a real photoshoot where the model is basically a “fashionable corpse”. 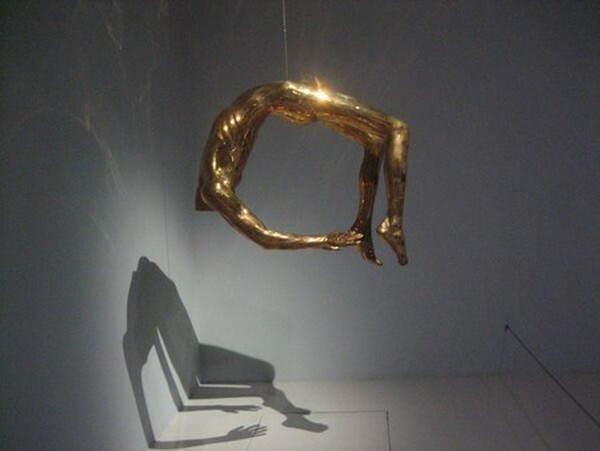 This particular piece of art and position was shown to be important to the occult elite. Serial killer Jeffrey Dahmer placed one of his headless victims in that specific position. Dahmer was a cannibal. “The Neon Demon” also deals with cannibalism. And more. Like abusing minors. Nobody cares that she is a minor. In fact, her youth gives her that “something” that the industry desperately preys on. Youth is not only used to sell copies of magazines, it is exploited on a deeper level. Primitive civilizations used to sacrifice young virgins to the gods because they were believed to have the most “magical potency”. This concept is still alive today. People with great wealth, power, and influence believe in these occult concepts that most think to be outdated. “The Neon Demon” addresses these things in a thinly veiled matter. Jesse’s “It” factor leads her to star at a fashion show. This show begins normally but soon turns into a long, hypnotic, occult ritual that appears to profoundly transform Jesse. As Jesse walks down the runway, an alternate scene simultaneously takes place in a “higher” dimension. The fashion show is Jesse’s initiation to the industry, where she discovers her new alter persona. As Jesse progresses into the fashion world, we are subtly introduced to the dark occult world that rules it. We are also heavily introduced to the symbol that represents it: the ubiquitous All-Seeing Eye. In the movie, the all-seeing eye, aka the eye in the sky, is associated with the moon. Then, with a completely vacant look on her face, the model goes back to the fashion shoot. After watching “The Neon Demon”, it is not surprising to learn that it failed at the box office. It is an indulgent, self-aggrandizing, promotional piece by the industry and for the industry. Contains sceenes of paedophilia, necrophilia, cannibalism and ritual killings. All of these horrors are presented in an aesthetically pleasing matter and placed in a cool, fashionable, sexual context in an apparent attempt to normalize them. Contains sceenes of cannibalism and ritual killings and more, like abusing minors. “The Neon Demon” describes how the industry preys on young girls (preferably very young), trapping them in a world they cannot escape. It depicts how people deep in the industry are involved in sick practices motivated by dark rituals. “The Neon Demon” is about celebrating all of this. Literally. Why are they so into this? Well, once you swallow the occult elite’s eyeball, you’re either infected for life … or you die. The film “Everything, Everything" (2017): How to fondly implement the hate to parents?